Bundeswehr boots of "Model 2000" had been manufactured, probably in cheap South-East Asian countries. 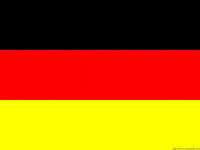 Sometimes on web-sites the seller shamefully write "Import", without specifying the country of production. The outsoles of such boots are marked with "the head of an Indian" logo. These boots are designed for use within a few years, followed by a self-destruction. The open foam layer in the boots sole is a dead-end idea, in my opinion. This foam layer should be protected from all the sides by more durable outer layer. 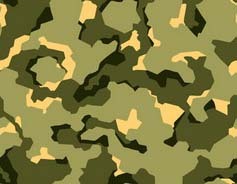 This lack of "Model 2000" Bundeswehr boots was corrected in next generation boots - "Model 2005", developed by "HAIX" company. The outsole of the "Model 2000" type boots can hardly be robust and reliable because the foam layer is highly water- absorbing. The glue should be washed-out sooner or later, even if the outsides of the open foam layer would be treated with special means. On this photo one can see just a "funny replica" of the "BW Kampfstiefel TYP 2000" from "MFH" ("Max Fuchs of Hinterschmiding"), a manufacturer similar to "Mil-Tec" ("Sturm", "MILTEc", "TSR"="Thomas Sturm of Rottenburg"), with their manufacturing sites in China. The boots on this photo are designed for "military style" lovers and walks on the city pavement. Such boots have to be worn carefully and without any "extreme" stresses. 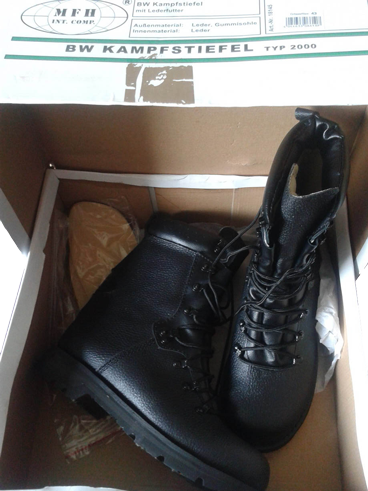 Only from a distance such boots look similar to the original "Model 2000" type boots (which are faulty as well due to their foam layer "weak spot", as it was described before). Even on the photo one can see poor quality and not accurate style of manufacturing. The differences from the original boots are clearly visible, and if to put these boots and the original boots nearby and just to touch the corresponding elements of the two samples, the differences are very evident. My personal experience of using two pairs of "Model 2000" boots gave the following results: one pair was kept in storage and I even had no chance to wear them; the second pair was in use just for couple months. But the result was the same - de-lamination of the outsoles on both pair. Several friends of mine have faced with the same problems. 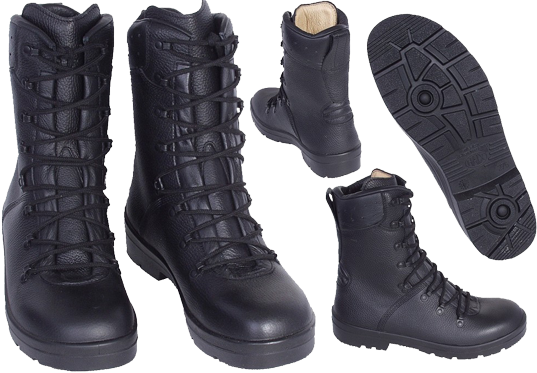 "Kampfstiefel Model 2005/2007" is the development of the "Model 2000" boots. The new type of boots feature single outsole with no open layers (actually, the layers of the outsole are "hidden" inside for robustness and durability). However, there are still a lot of fakes, and especially of "HAIX Model 2005". Various Internet forums are dedicated to consideration of the peculiar boots construction details and explanations how to distinguish the original boots from the fake ones. 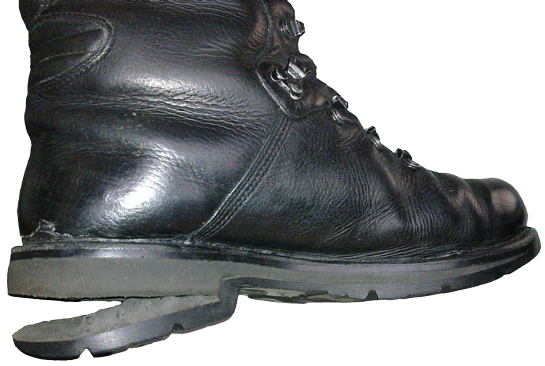 Sometimes they "dig" very deeply and discuss such peculiarities as the quality of the sole casting (the outsole surface should be smooth, without cracks and wrinkles, which definitely show that the components of the outsole material melted evenly); they consider such details as colour of the insole inside the boot and peculiarities of the thread (in this example, black filament), and the width of the stitches (narrow or wide), and the shape of the upper "collar" (wrinkle-free leather and straight edge), the height and other essential elements of construction as non-marking soles, manufacturer's code, embossed on the tongue, the quality of the lacing hinges (they must keep the laces firmly and not allow to scroll ...). One has to learn these peculiarities to understand the little things and not to buy a fake for the price of the original. Actually, "Kampfstiefel Model 2005/2007" appeared to be a response to the identified problems in the "Kampfstiefel Model 2000", and the old faults were eliminated in the new model. The main problem of the "Model 2000" were solved: the crumbly open-layered outsole became closed, general design and lacing system were improved. The boots of the "Model 2005/ 2007" (of course, the original ones, not copies!) have got quite good reviews.